I would love you advise. I've had failed fertilisation on 14 mature eggs, they collection 16 eggs. The next day I got a phone call to say 13 eggs did not fertilise and one was showing signs of abnormal fertilisation and didn't grow from there. I'm 27, I am fit and healthy no underlying conditions. 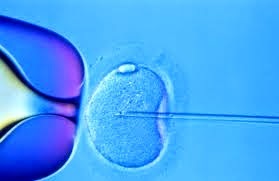 My husband has low spern count/motility hence using ICSI. I can't get my heard around what's happened and my clinic can't offer any answers. Does this sound right to you? What could have happened? Do you have photos of your unfertilised eggs ? This will help us to check that they were not damaged because of the ICSI or because of an infection in the lab. Has your husband had a strict morphology test done ?